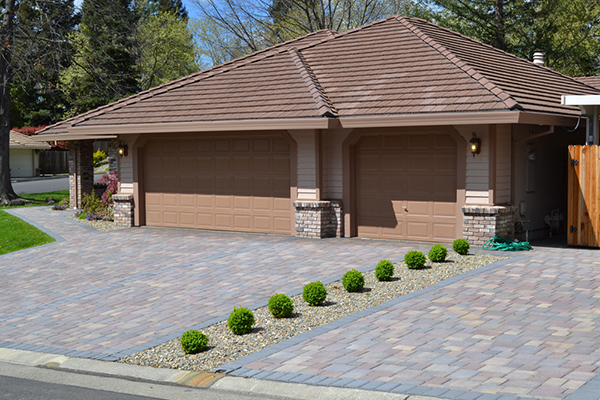 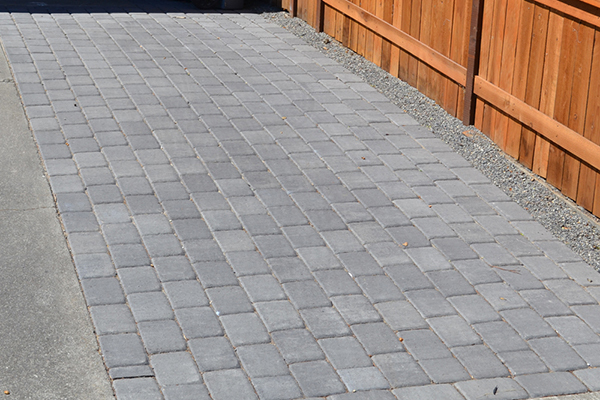 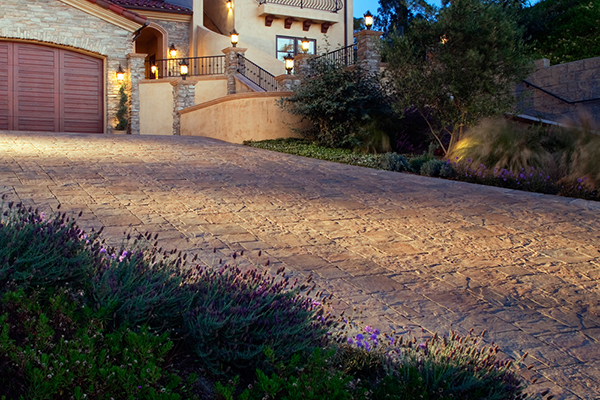 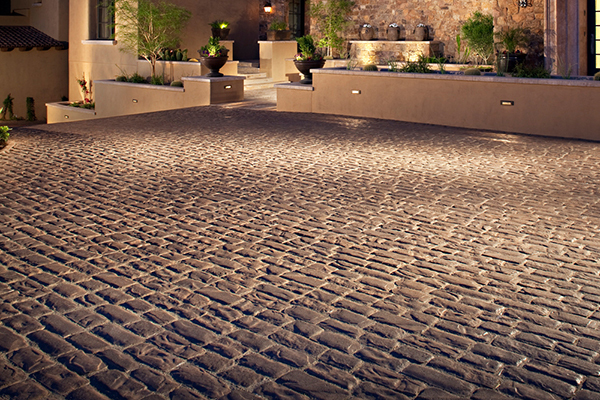 There is no addition more romantic and elegant to a beautiful Sacramento, CA landscape than the addition of paving stone walkways. 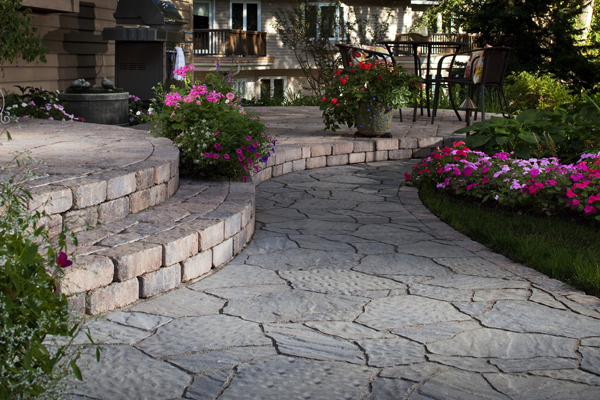 Even in a small yard, walkway pavers can take you to different garden patches, benches underneath trees, or secluded reading nooks. 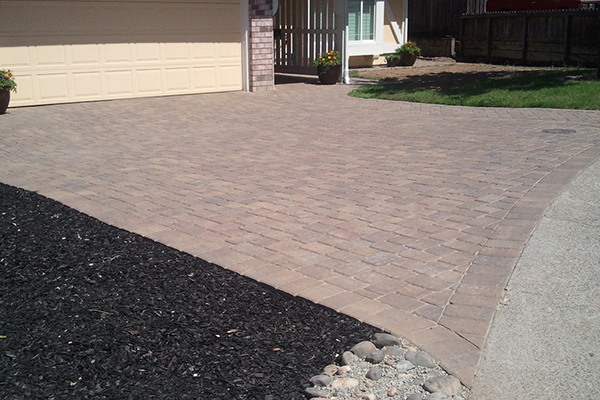 With walkway pavers from The Paver Company specializing in Paving Stones in Sacramento, you can create convenient and attractive garden beds, separating your flowers from your vegetables in a beautiful and orderly fashion, and making it so that you never have to walk in the mud or damage your plants in order to work in your garden. 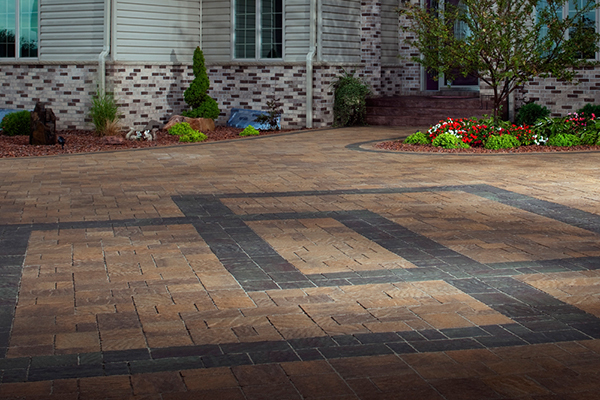 Installation is quick and easy from The Paver Company, and you can be enjoying your custom designer paver stone walkways in no time at all! 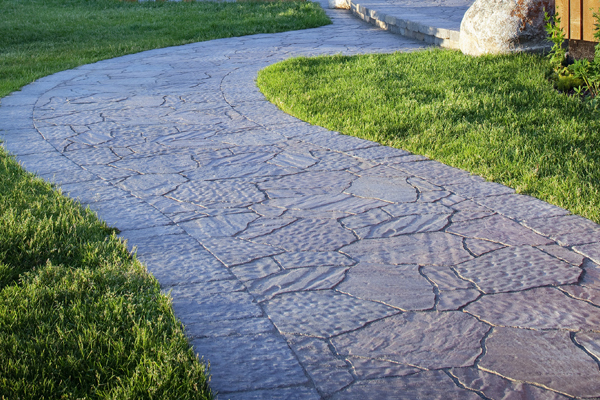 Our prices are competitive and affordable, and with the varieties of options available we will be able to work with you to find a paving stone walkway, patio or even driveway solution that fits your design needs and your budget. 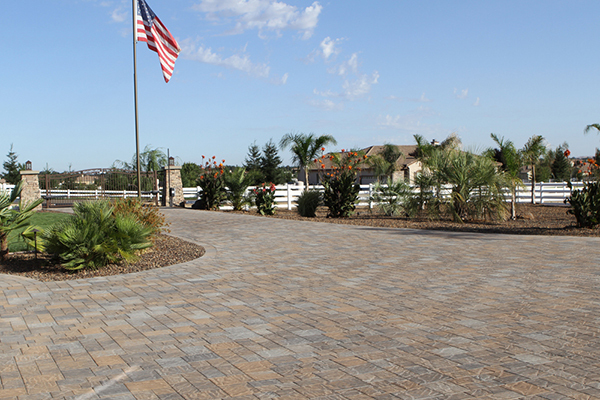 From the variety of materials available to the layout design you choose, and even the width and length of your paths, the customization of your walkway pavers will be sure to satisfy you. 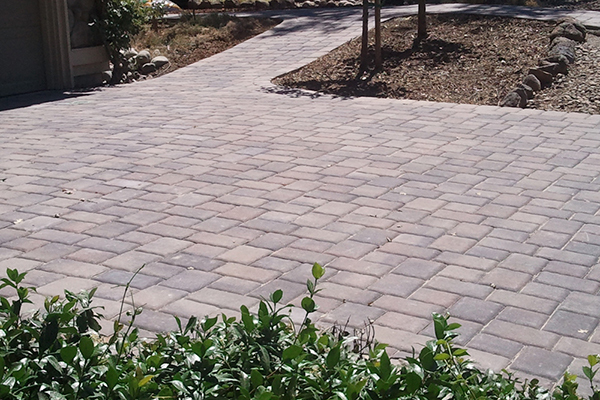 Our walkway pavers and paving stones at The Paver Company of Sacramento come in a variety of textures and a veritable rainbow of hues and shades. 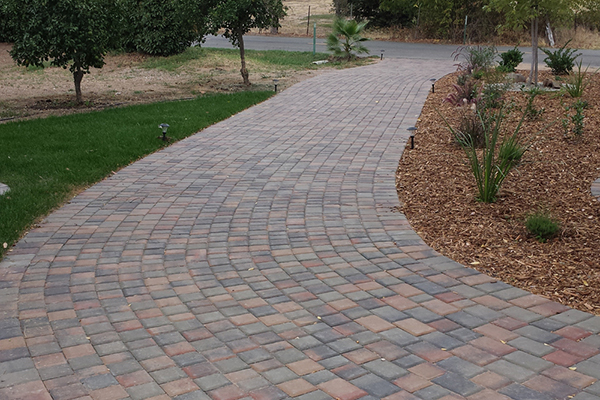 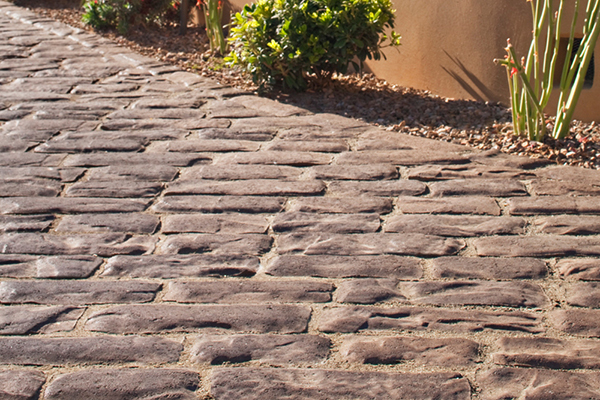 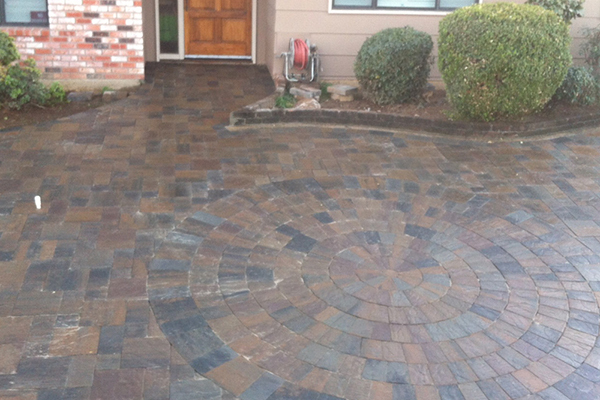 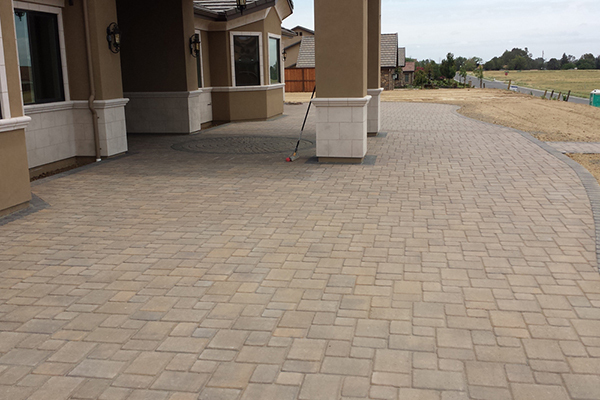 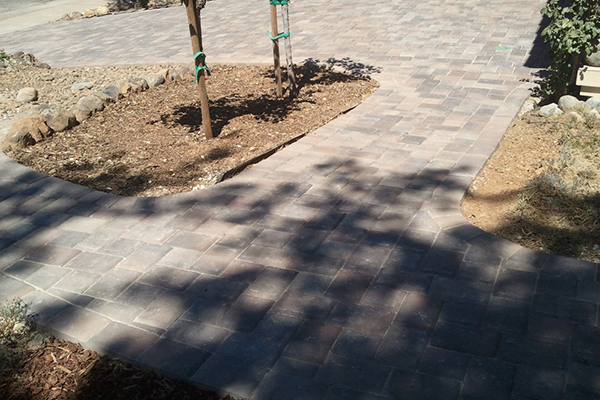 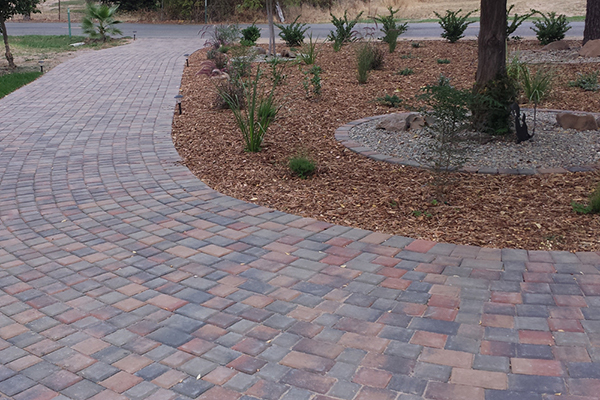 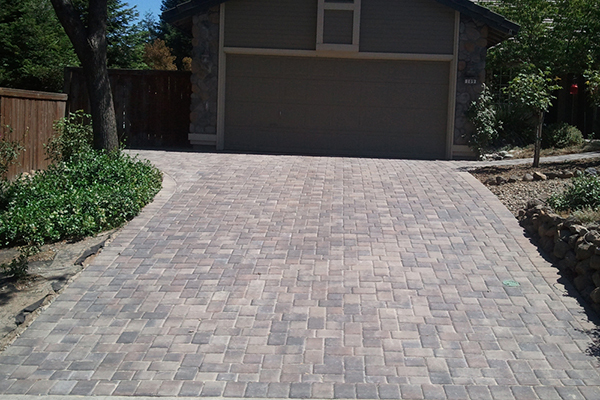 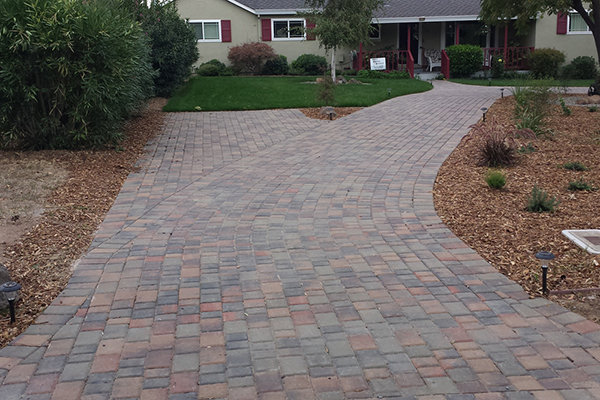 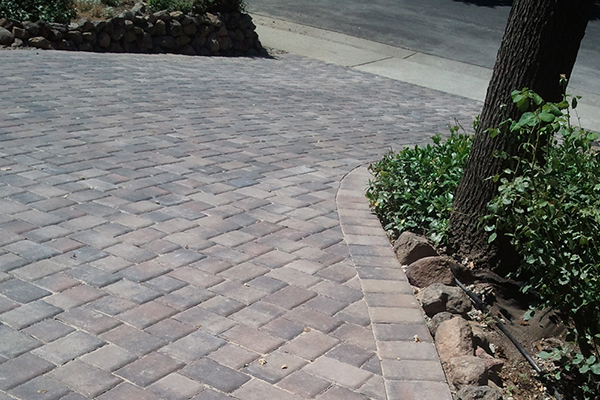 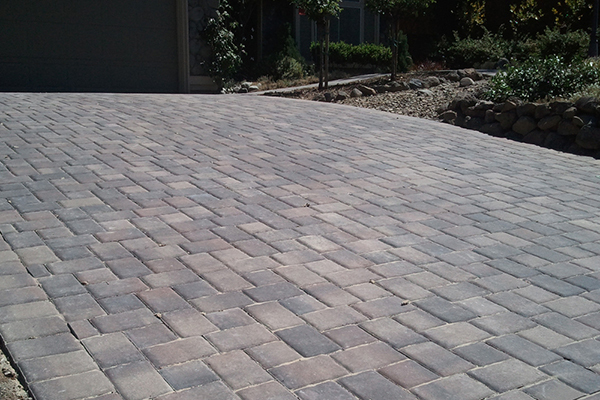 Whether you want a deep red brick paver walkway with a traditional herringbone pattern of installation, whether you love the look of dark gray, old-world cobblestones in their fan patterns, or whether you want the contemporary, eco-conscious look of rustic local stones, we can get you the walkways you want for your Sacramento, CA yard and garden at The Paver Company! 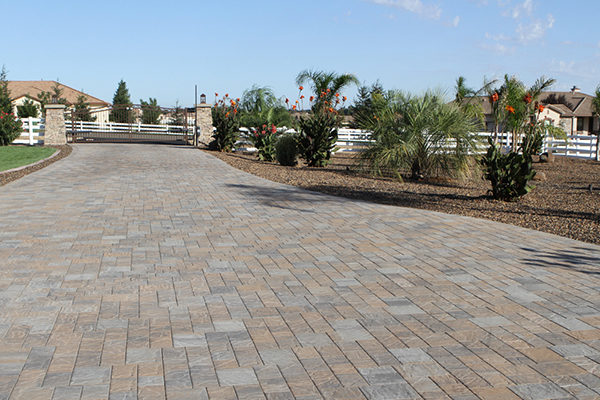 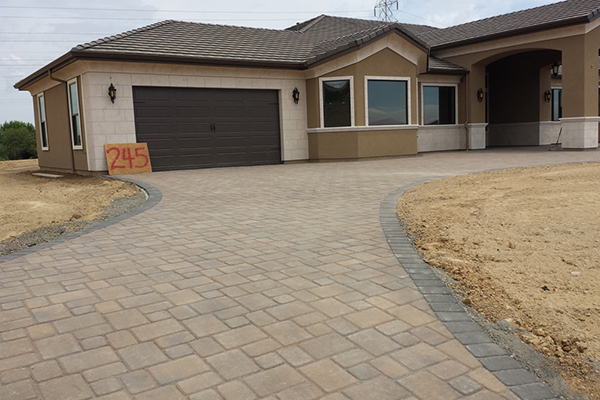 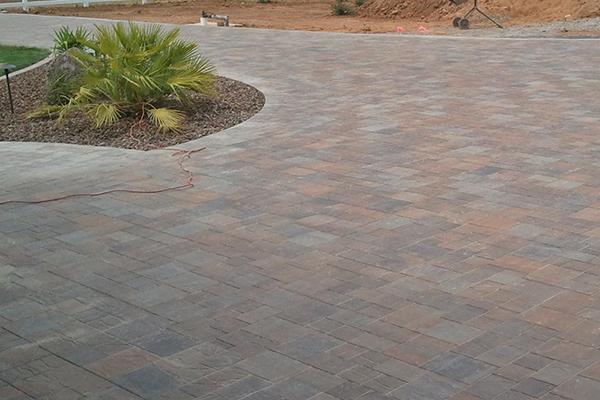 Our paver stones are comfortable and easy to walk on, and they are cool enough to walk barefoot even in the heat of the summer. 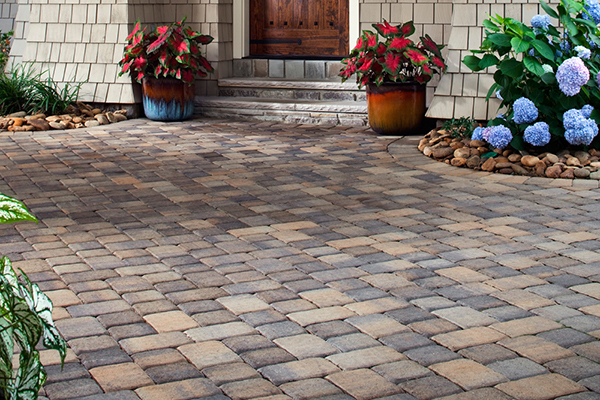 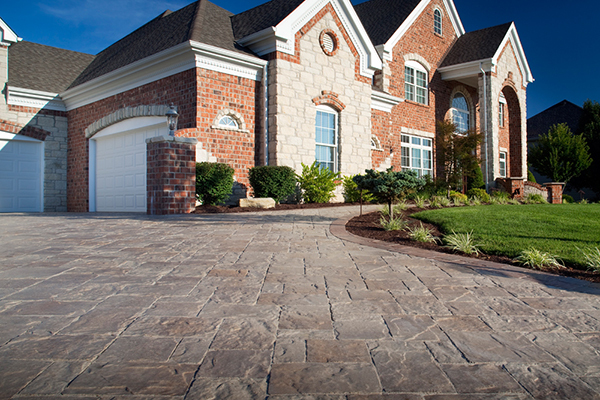 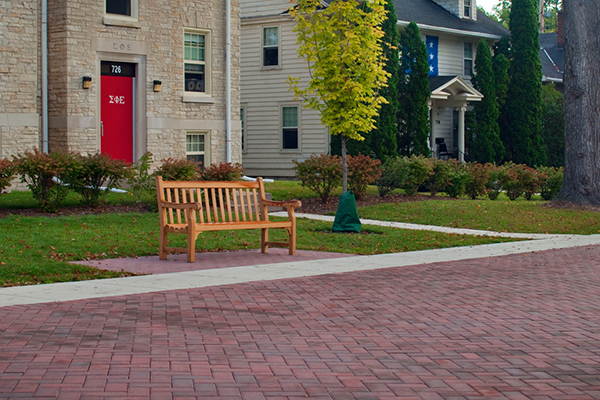 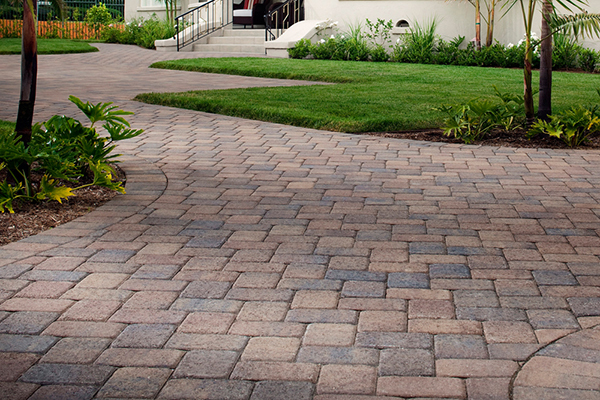 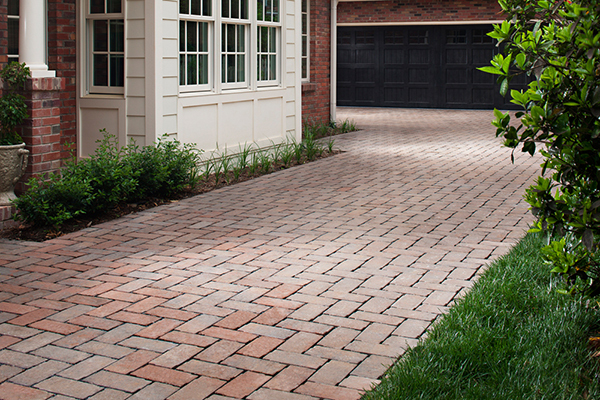 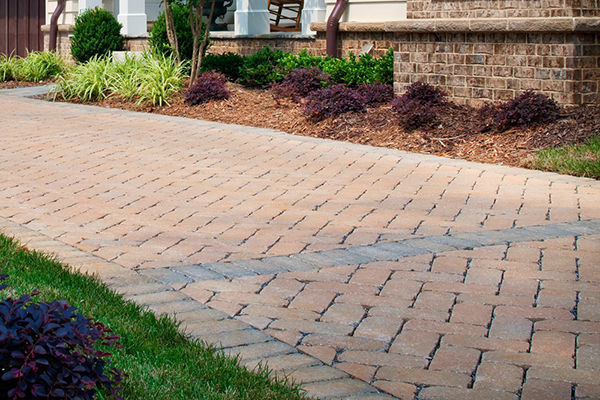 If you have been watering your yard, never fear: our walkway pavers are not slippery, and you do not have to choose between getting mud on your shoes or the risk of falling. 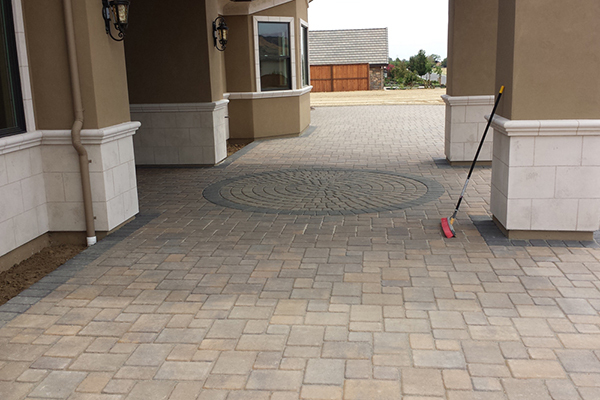 Check out our photo gallery above and see some of the walkways that we have installed for other satisfied customers like yourself. 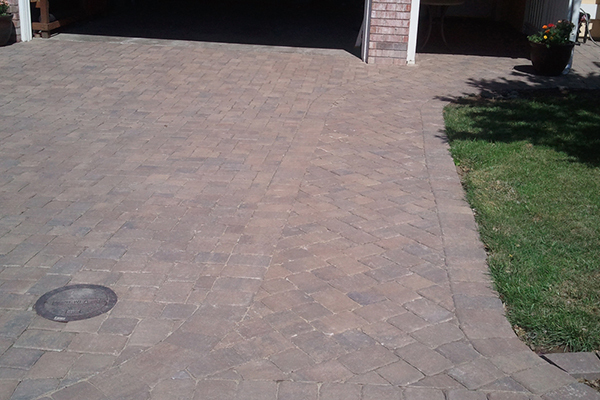 Then give us a call for an estimate! 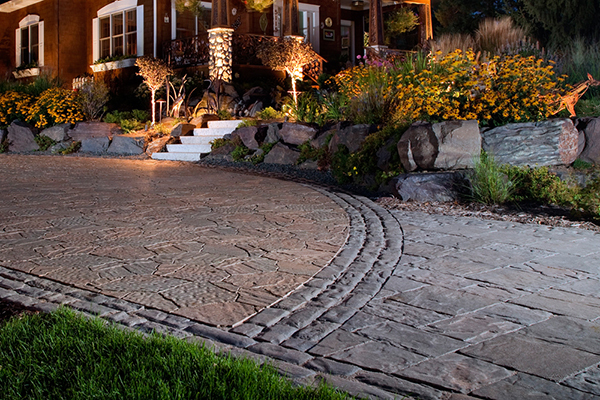 Depending on your style, you might be a fan of an old world cobblestone designed walkway, or it might be natural stones in random sizes and shapes for a look that is easy and sophisticated. 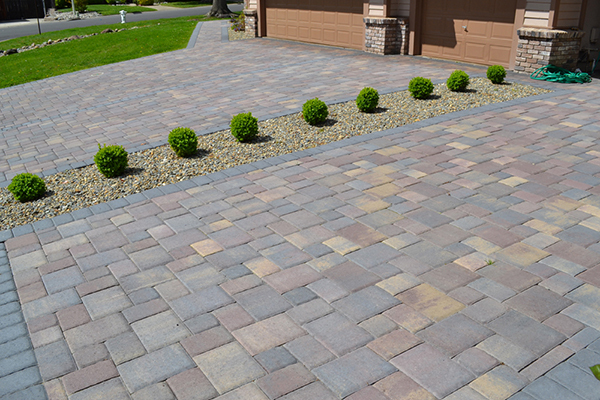 Whether your decorating style is sleek and modern or shabby-chic, we can help you get the look you want for your paving stone walkway at The Paver Company of Sacramento. 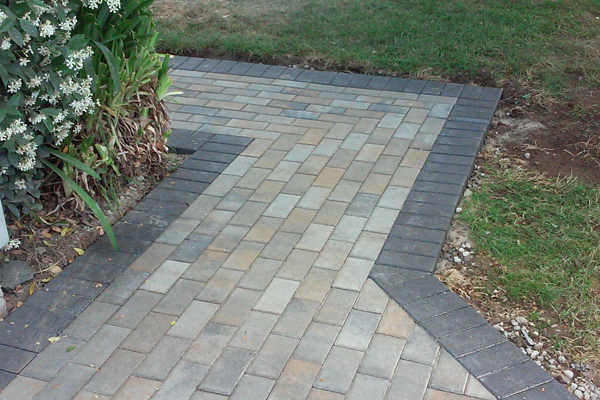 In our walkway design portfolio you can choose between a square pattern, a stair step pattern, a herringbone pattern, a spiral, or many other design options. 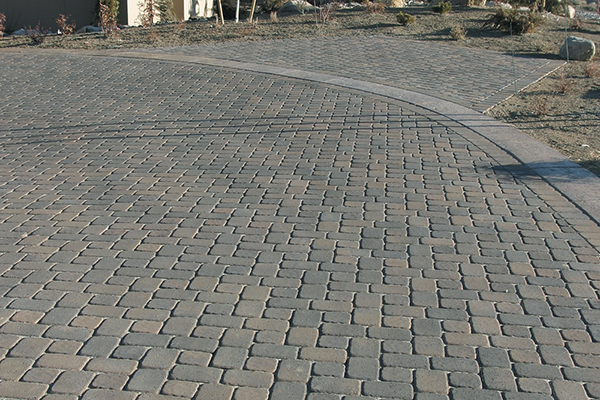 If you want your paving stone walkway to look like intricate brick work, we can do that for you.